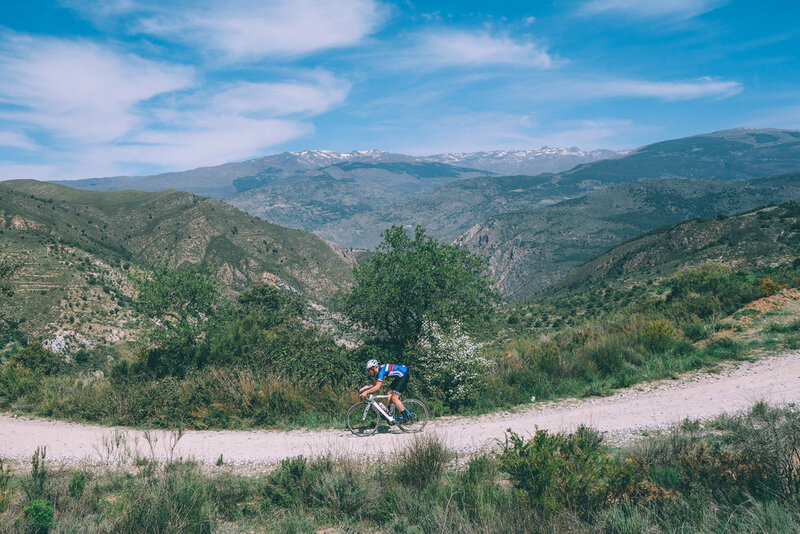 As you race through the almond trees, over sandy gravel tracks, down to Alcazar, the adventure takes over, with adrenaline and smiles an inevitability here. Upon reaching Alcazar at 7km, there is a welcome water fountain where you can fill up your water bottles. After Alcazar, you return to the tamer asphalt,and begin the climb up to the bar. This last climb, 4 km in length, and averages a gradient of 6.5%, which can be tiresome. 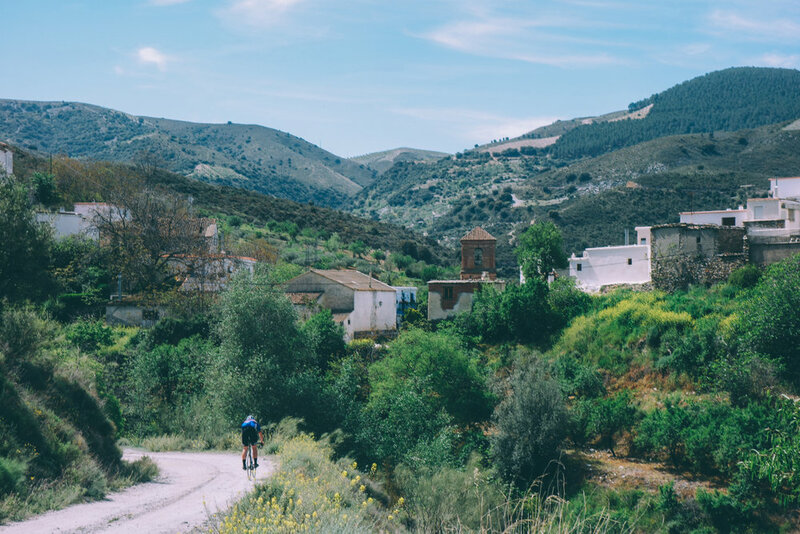 Upon reaching the main road at 12.6km, you have the option of turning left , continuing climbing up to Haza del Lino, where you can stop for coffee and food, or turning right towards Órgiva.